Today we learned some words to describe weather in Japanese! In these notes we will learn more Japanese weather vocabulary! Learn the Japanese words for hail, fog, storm, and more! 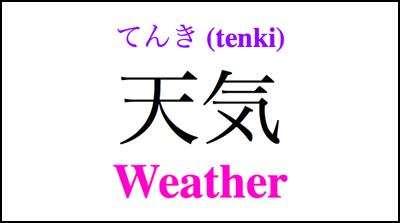 ★　The Japanese word for weather is 天気 (tenki). 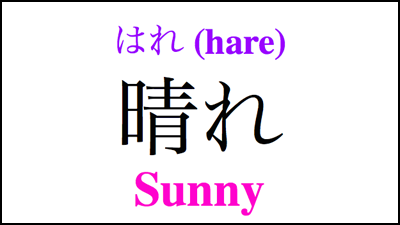 ★　The Japanese word for sunny is 晴れ (hare)! 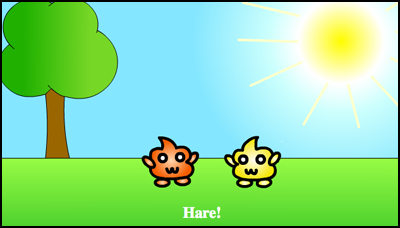 ★　The Japanese verb for to become sunny is 晴れる (hareru)! ★　This kanji is a combination of the kanji for sun (日) and the kanji for blue (青), so it’s like the sun and blue sky! 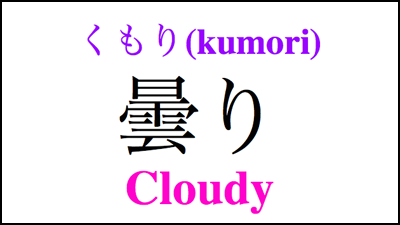 ★　The Japanese word for cloudy is 曇り (kumori). ★　The Japanese word for cloud is 雲 (kumo). 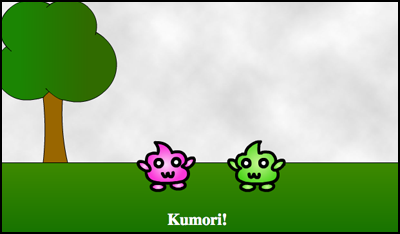 ★　The Japanese verb for to become cloudy is 曇る (kumoru). 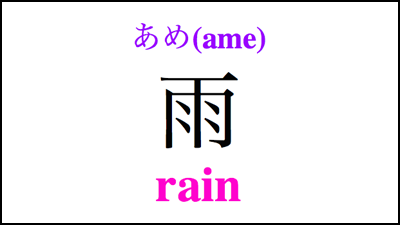 ★　The Japanese word for rain or rainy is 雨 (ame). 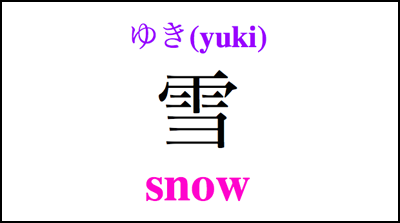 ★　雪 (yuki) means snow or snowy in Japanese! 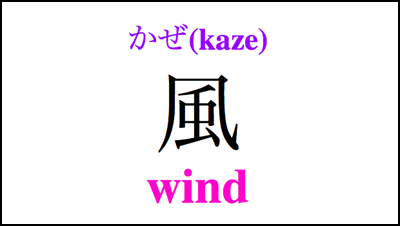 ★　Wind in Japanese is 風 (kaze). 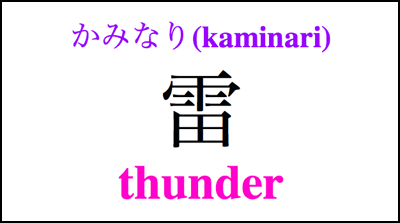 ★　The Japanese word for thunder is 雷 (kaminari). ★　You can see the kanji for rain in this one too! We learned a lot of Japanese weather vocabulary today! What is the weather like today? Tell us in Japanese in the comments below! How can I say “Never snows here.”? You can say ここでは雪が降らないです。 (koko de wa yuki ga furanai desu.) – It never snows here. 1. Which is the better word for fog, もや or きり? 2. What’s the difference between やな天気 and 天がわるい and which one should you use? きり means fog and is commonly used. もや literally means “mist” or “haze” but it doesn’t seem to be used much in everyday conversation. 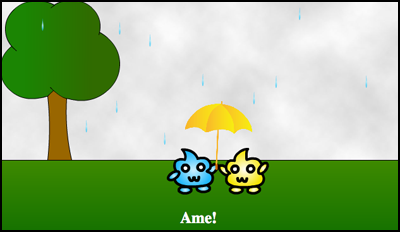 Both やな天気 and 天がわるい mean “bad weather” but the grammar is a little different. You can use either one.